The recent relaxation of the FIC rules is expected to spur demand for residential and commercial property financing. 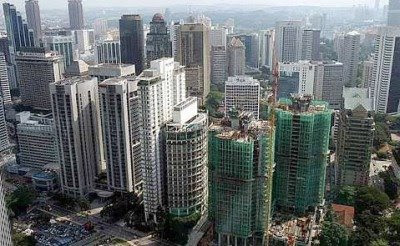 PETALING JAYA: Bank earnings and loans growth are likely to improve towards the end of the year, bolstered by the recent deregulation of the Foreign Investment Committee (FIC) guidelines on properties as well as easing conditions for new listings and fund-raising activities. According to a foreign brokerage, property transactions, both residential and commercial, are expected to increase following the relaxation of the FIC rules, which should spur demand for property financing. Higher property financing would lead to a turnaround in loans growth by year’s end or early next year, it said, noting that property financing comprised 36.4% of total loans in the banking system. “The policy changes will create more revenue streams for Malaysia’s financial sector and reduce dependency on pure interest income,” the foreign research house said, adding that loans growth in May was underpinned by the relatively stable household loans segment, which grew 8.4% year-on-year. In addition, the liberalisation would also encourage more mergers and acquisitions (M&As), as well as more capital and equity market activities, which would benefit investment banks, it said. With greater foreign ownership allowed in stockbrokers, product innovation – such as the roll-out of more varied derivative products – is likely to improve. The foreign research house added that Malaysia’s capital market was expected to gain better access to capital and investments with the removal of the 30% bumiputra equity requirement, making it more attractive for foreign listings while supporting existing listed companies seeking to raise funds. A local bank-backed brokerage said residential mortgages showed “no signs of weakening” as they sustained 10% growth from December 2008 to May 2009 despite the gloomy economic landscape. This was due to progressive release of housing loans approved in the past one to two years, high savings rate of Malaysians, sustainable property transactions thanks to limited speculation, low interest rates and attractive schemes by developers, it said. Moreover, there could be more corporate deals in the pipeline, including new listings and M&A transactions on the back of improved average daily trading value on Bursa Malaysia, it said. This would augur well for investment banking income, including brokerage and corporate advisory fees, the research house added. HwangDBS Vickers Research, meanwhile, said the liberalisation was “very bold measures” to improve the competitiveness of Malaysia’s properties internationally. “The biggest winners will be developers with large exposure to the more ‘open’ districts like the Federal Territory and Penang, where the authorities would likely be supportive,” it said. PETALING JAYA: SP Setia Bhd’s maiden retail venture, Setia City Mall in Setia Alam, Shah Alam, will have a potential net lettable area of more than 1.5 million sq ft upon completion of the project. Explaining the rationale for the decision to scale down Phase 1 of the project from 1.23 million sq ft of gross lettable area to one million sq ft, president and chief executive officer Tan Sri Liew Kee Sin said this was to accommodate a more efficient design and to best meet the needs of retailers. “Phase 1 will have a net lettable area of about 700,000 sq ft. Based on the detailed studies undertaken by our joint-venture partner Lend Lease Asian Retail Investment Fund 2 Ltd’s retail experts in Singapore and Australia, we believe this is the optimal size for the phase,” Liew told StarBiz. He said Setia City Mall was designed by a team from Lend Lease, comprising international experts in retail mall design, construction and management. Apart from a world-class design, it will also set the benchmark in sustainable retail development, being the first and only mall to be included in the Green Building Index’s pilot accreditation scheme. The Phase 1, expected to be completed at end-2011, will comprise a department store, 250 local and international specialty stores, major anchor retailers and an entertainment precinct. Its gross development cost is RM450mil. The mall design includes access to more than 2,000 parking lots and easy connectivity to nearby roads, towns and major highways. Liew said while it was still too preliminary to reveal plans for Phase 2, it would likely constitute a more upmarket component to complement Phase 1 and would appeal to a wide spectrum of the consumer market. On analysts’ reports that the revised plans would now see the mall being developed in two phases, he said Setia City Mall had always been planned to be undertaken in two phases. “Our initial announcement did not provide specifics on the phasing plan because at the time, we only had a conceptual master plan and it was too preliminary to disclose how things were going to be done. “After an in-depth analysis of the primary, secondary and tertiary market catchments for the mall project, we are able to share more firm plans on how we intend to develop the mall. “With Setia Alam’s demographics changing over the years as more people move in, building the mall in two stages will allow it to strongly establish itself in the market, and then to grow in sync with the needs of the customer base,” he said. 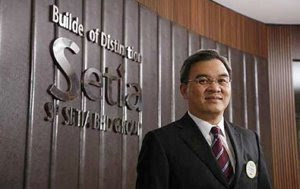 Liew said Setia City Mall would provide long-term, sustainable growth for retailers, the company, and the community at large. “Our studies have indicated that Setia City Mall is a necessity to satisfy the local population’s desire for quality shopping and leisure facilities. SP Setia’s local knowledge and Lend Lease’s international retail design excellence will ensure that the mall is well above the curve in terms of design, functionality, offer and experience. “The mall is responding to a market opportunity with the already large customer base set for rapid expansion. This ensures that demand for retail space will be high. We are currently in negotiations with key anchor retailers,” he said. PETALING JAYA: The construction of environmental-friendly buildings is not new. However, what is refreshing is a new breed of, and often younger, entrepreneurs in the property sector who have embraced the green concept whole-heartedly and have committed in a big way to the development and growth of mega eco-friendly projects. One such property player is GSB Sentral Sdn Bhd, a member of the diversified Gapurna Group with interests in construction, commercial property development and information technology. Helming GSB Sentral is director Imran Salim, who believes going green is the way forward for the company to be a niche player and hopefully, in time, a leader in this field. “We believe there is good demand for green property projects if they are built well,” he told StarBiz recently. The green concept to property development is not only about building properties that are attractive and energy saving but also built to respect nature and the environment in a sustainable manner. To show GSB Sentral’s conviction in this field, Imran said groundworks to its flagship green project – 348 Sentral – had already started and the whole project was expected to be completed by the third quarter 2012. A mega commercial and residential project jointly owned by GSB Sentral and Malaysian Resources Corp Bhd under a 60:40 equity basis, 348 Sentral has a gross development value of RM1.1bil. He said 348 Sentral would be architecturally beautiful, energy efficient and eco-friendly, while maintaining many of the modern day conveniences, like Internet connectivity. The company is targeting it to be the first high-rise commecial building in Malaysia to pursue the Green Building Index (GBI) Malaysia Gold rating and the American Leadership in Energy and Environmental Design (LEED) Gold Environment Building accreditation. Developed by Pertubuhan Akitek Malaysia and the Association of Consulting Engineers Malaysia, GBI Malaysia was introduced on Jan 3 to lead the Malaysian property industry towards becoming more environment friendly. It is intended to promote sustainability in the built environment and raise awareness among developers, architects, engineers, planners, designers, contractors and the public about environmental issues. The LEED is a voluntary, consensus-based national rating system for developing high-performance, sustainable buildings. Hijjas Kasturi Associates Sdn Bhd director Serina Hijjas, the architect for GSB Sentral, said the two accreditations would enable GSB Sentral to be the first of its kind (as a property developer) to set a new benchmark in office development as part of the global corporate governance. She said in terms of adoption of green standards, Malaysia was just about at par with Singapore. On the cost of projects that adopt the green concept, Imran said on average a commercial building would cost 10% to 15% more than traditionally-built ones and that the return on investment would take about seven years. “It will definitely pay off over time due to lower running fixed cost,” he said. Imran said another income-generating stream would be to renovate some of the older buildings to adopt the green concept. He said the company had secured a strong anchor tenant – Shell Malaysia – which had committed to occupy about 60% of the total net rentable space of 348 Sentral upon completion. He said the building would have excellent connectivity to public transport through KL Sentral and the monorail service would add as a catalyst to the uptake in occupancy. Moreover, he said, 348 Sentral would be the first commercial project to showcase the company’s expertise in the field. “We believe there is good pent-up demand for such buildings and we want to be a niche player in this sector,” he said, adding that GSB Sentral was targeting to build six such projects in the Klang Valley in five to 10 years. STARWOOD Hotels and Resorts Worldwide Inc, which operates hotel brands like Sheraton, Westin and Le Meridien, is in talks with several parties for new hotel openings in Malaysia. The group, which is bullish about the future of the local hospitality industry, is in various stages of negotiations to expand its footprint in the country. Its on-going talks could result in the group having representations outside the prime locations of Kuala Lumpur and Langkawi. "We are in serious discussion with six parties for not only Langkawi and Kuala Lumpur, but also secondary states," director of acquisition and development for Starwood Asia Pacific, Rajit Sukumaran, told Business Times in an interview. The group hopes to expand its brands to include Penang, Malacca and the Iskandar Development Region in Johor. "We are constantly expanding and our development mantra is the 'right partner, right place and right positioning'," he said. The brand best suited for the location will be used, even if the brand is already in the locality nearby. Starwood has nine hotel brands including Four Points by Sheraton, The Luxury Collection, St Regis, W Hotels and a loft. When asked why Starwood is keen on Malaysia when hotels rates here are said to be one of the lowest in the world, Rajit said: "We see hotels as a long-term investment. Year-on-year there is growth in tourist arrivals. We are bullish about Malaysia especially the hospitality industry." Today, Starwood operates eight hotels in Malaysia with a total room inventory of 2,800. These hotels include Le Meridien Kota Kinabalu, Le Meridien Kuala Lumpur, Sheraton Imperial Kuala Lumpur, Sheraton Langkawi Beach Resort, The Westin Kuala Lumpur, The Westin Langkawi Resort & Spa and Four Points by Sheraton Kuching. The Starwood family in Malaysia is set to grow with two new confirmed openings - the 300-room Four Points by Sheraton Sandakan, Sabah in 2011 and a 200-room luxury category The St Regis Kuala Lumpur in 2014. Starwood, Rajit said, is confident that Malaysia has a market for a luxury brand like St Regis. When the hotel opens, it will join at least two other luxury brands which are scheduled to open at an earlier date - Four Seasons Place in Kuala Lumpur and The Raffles Kuala Lumpur. "There are quite a few luxury brands coming into the market ... with the right opportunity and location given, our (St Regis') rates will be comparable with our competitors," he said. Worldwide, the Starwood group operates 950 hotels in 100 countries with a total room inventory of 287,000. WCT Bhd, Malaysia’s fourth-biggest builder, rose to a nine-month high in Kuala Lumpur trading after the company won four infrastructure-related contracts from Medini Iskandar Malaysia Sdn. valued at RM766.5 million (US$215 million). The stock gained 4.5 per cent to RM2.58 at 11.38am, set for the highest level since Sept 30, outpacing the benchmark FTSE Bursa Malaysia KLCI Index’s 1.1 per cent gain. The contracts will boost WCT’s outstanding order-book by 35 per cent to RM2.9 billion and contribute about RM23 million in pretax profit a year over the next two years, CIMB Investment Bank Bhd said in a report today. WCT’s jobs are in the Iskandar Development Region, an investment zone in Johor. Malaysia’s government rolled out the Iskandar development in November 2006 with the hope of attracting RM382 billion of investment into the area in two decades.